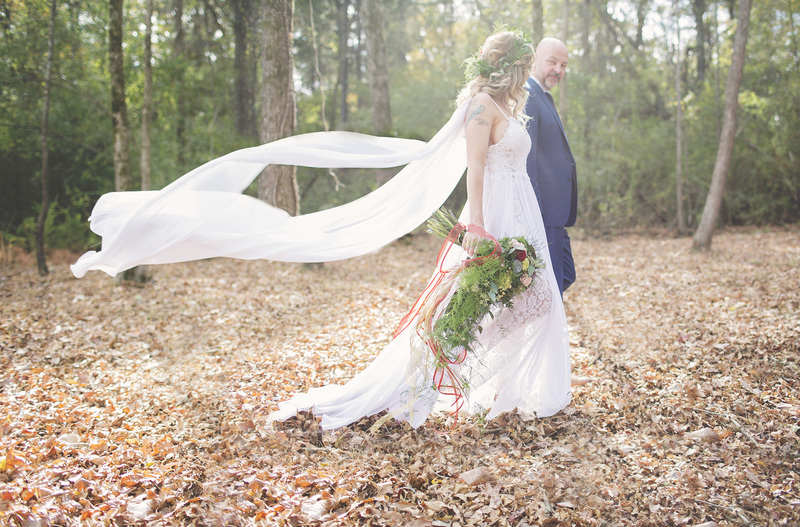 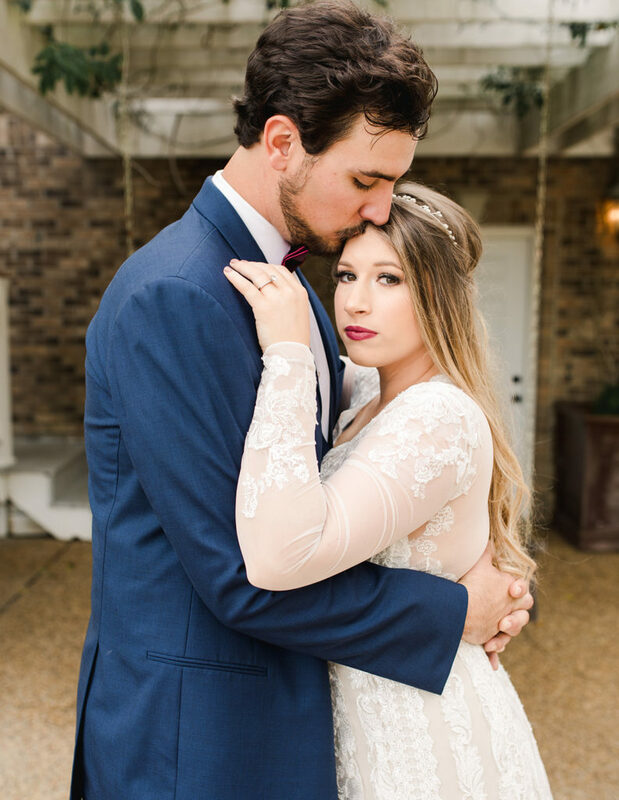 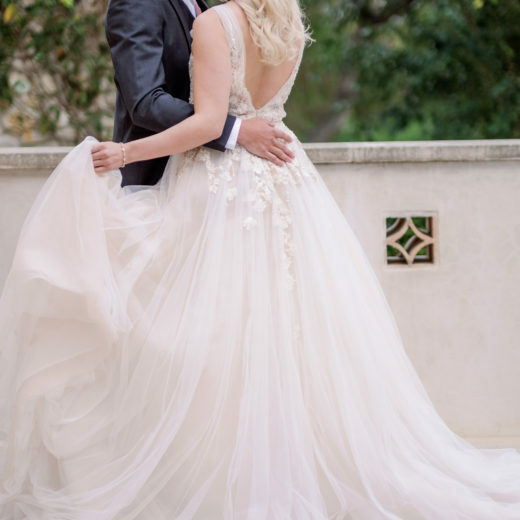 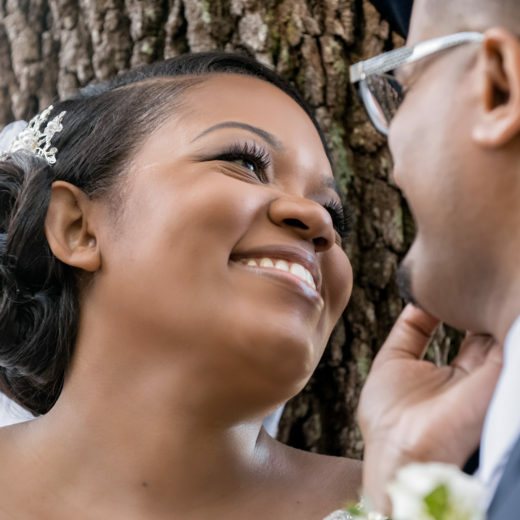 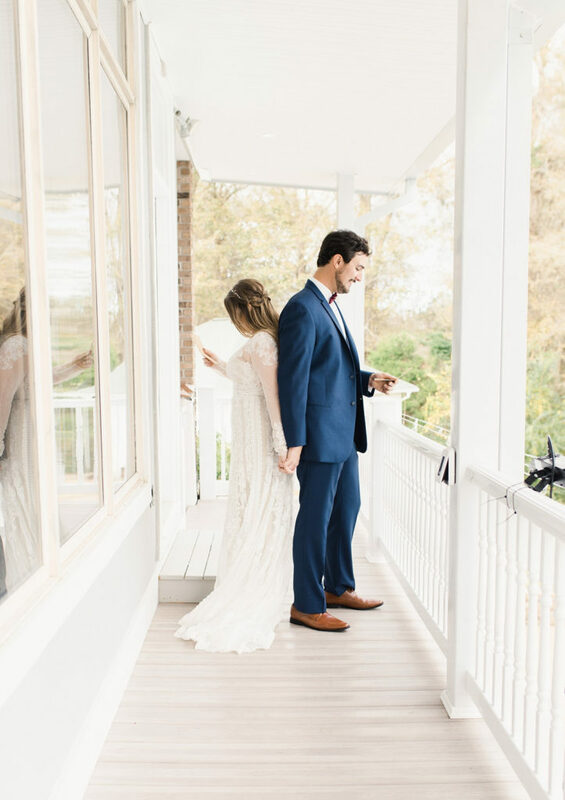 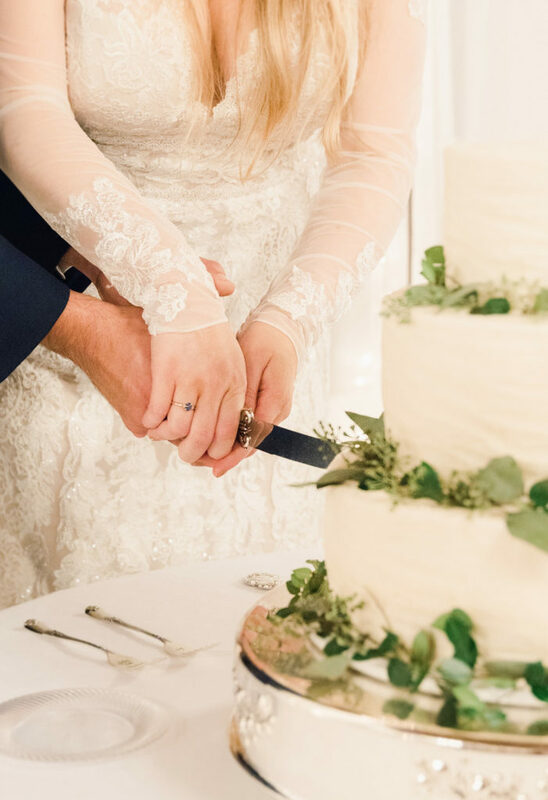 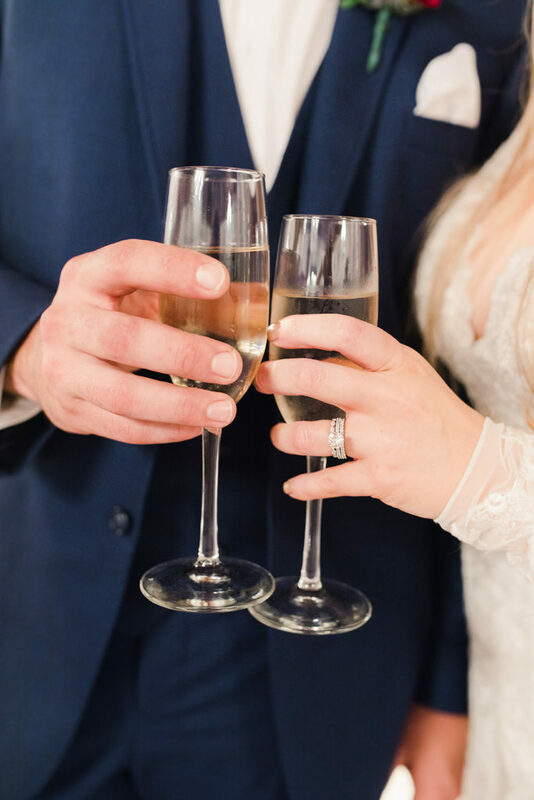 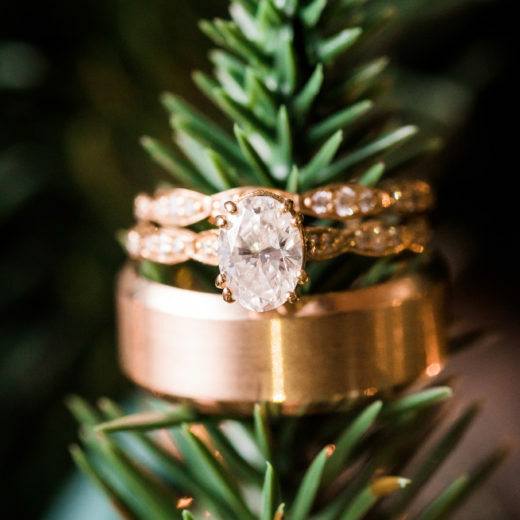 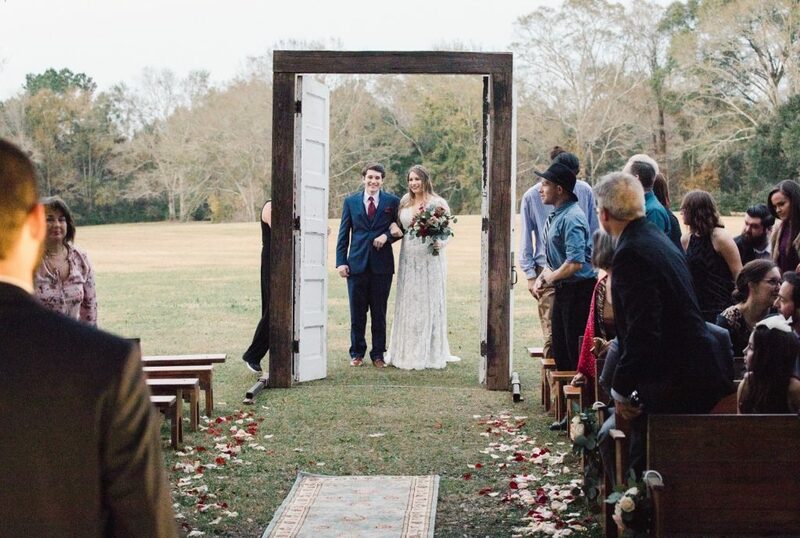 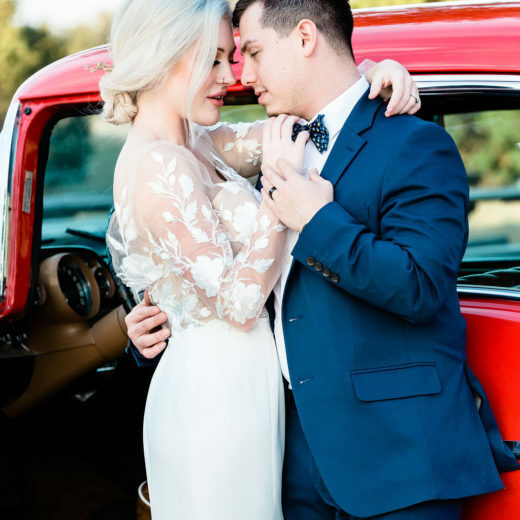 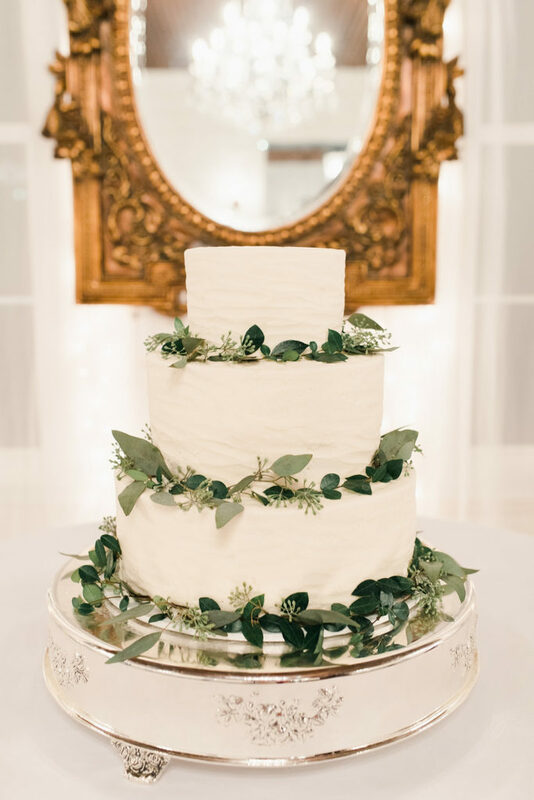 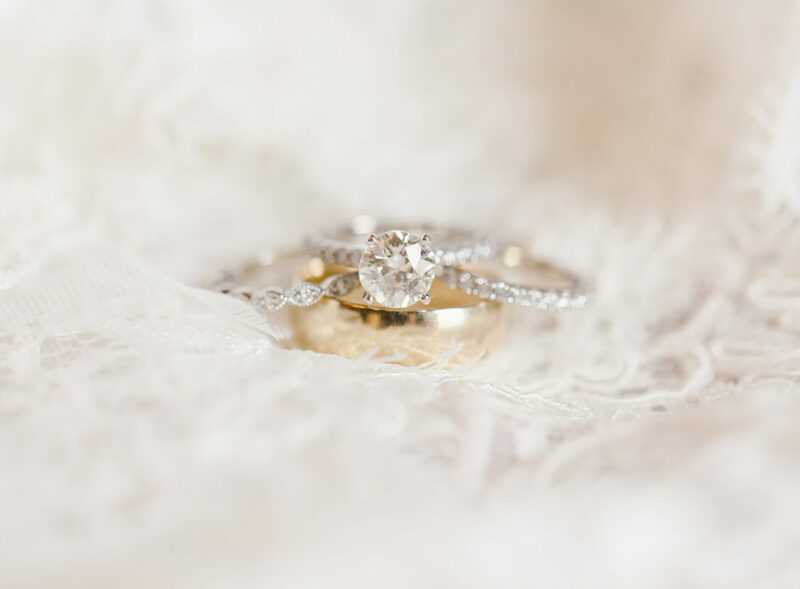 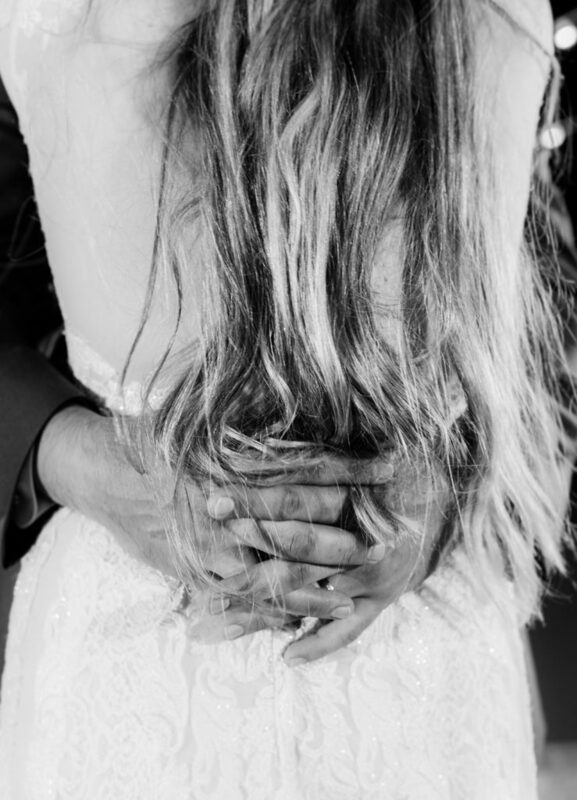 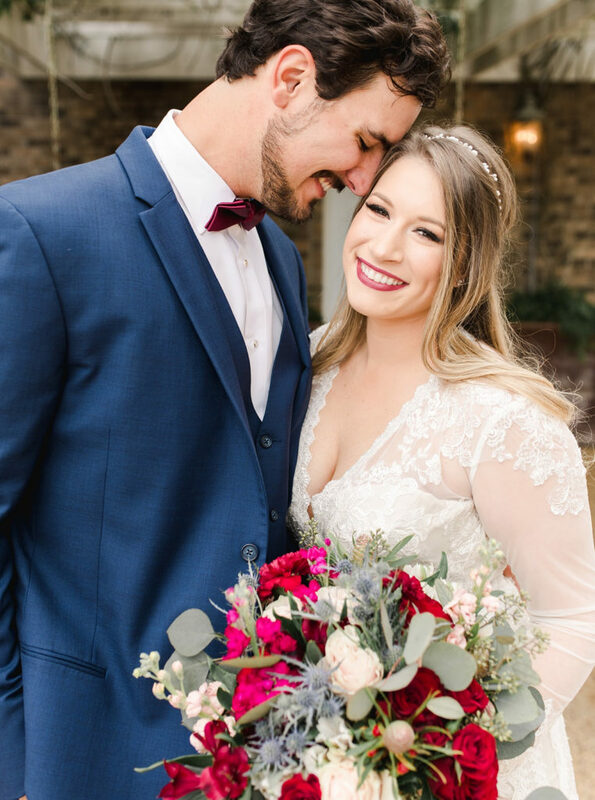 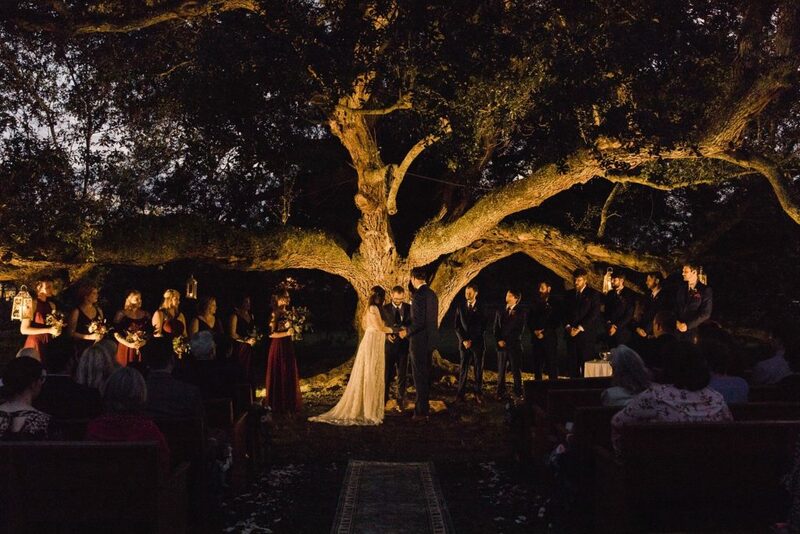 This sweet boho vintage wedding under the oaks featured an outdoor ceremony at the Mississippi Venue, Roseoak, where the couple were surrounded by their closest friends and family. 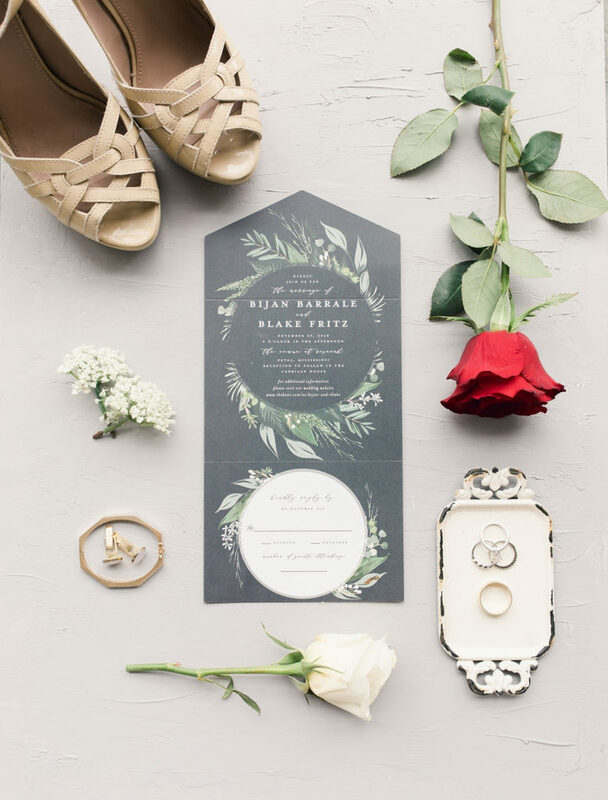 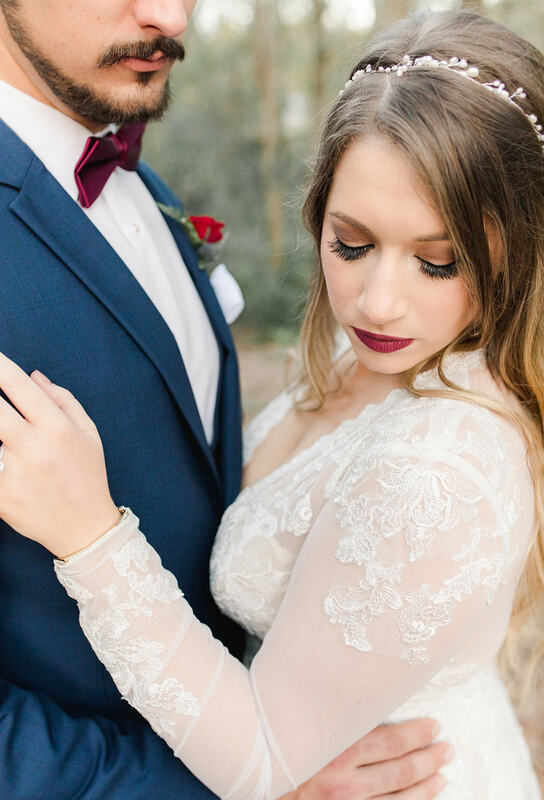 The color palette of wine and navy was paired with lots of greenery and gold accents. 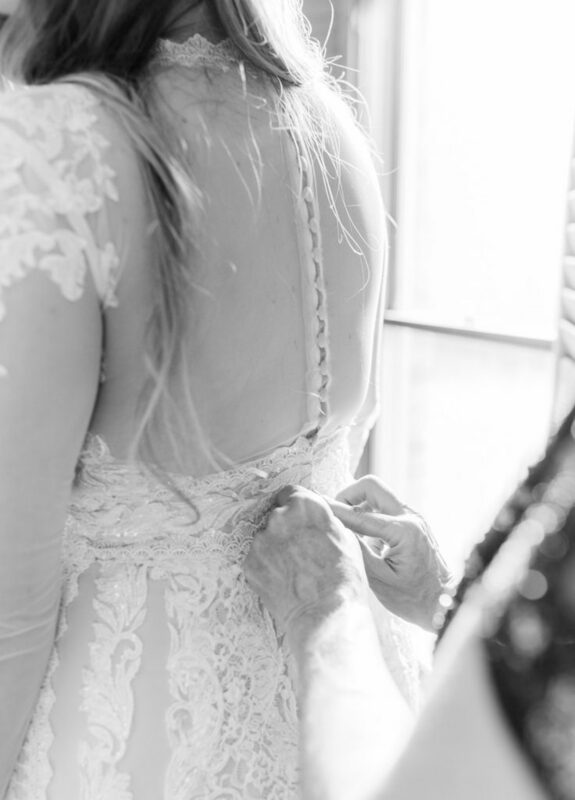 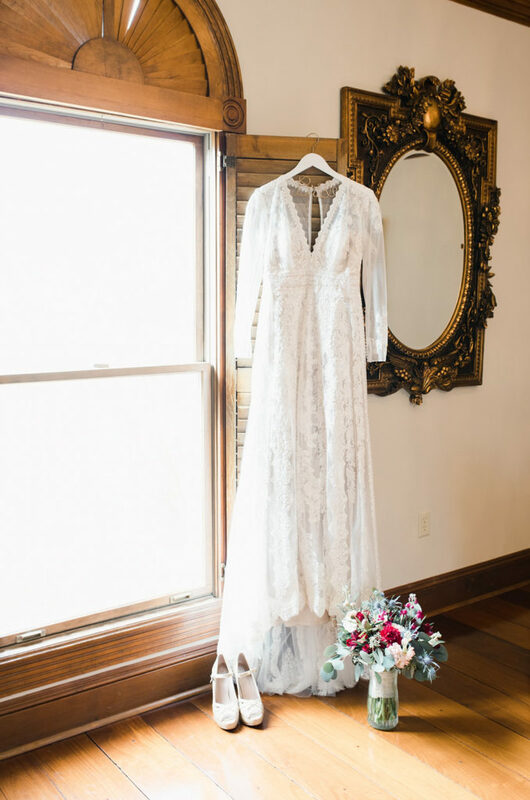 The bride’s vintage style lace gown was perfectly boho, and she accented her look with a simple headband. 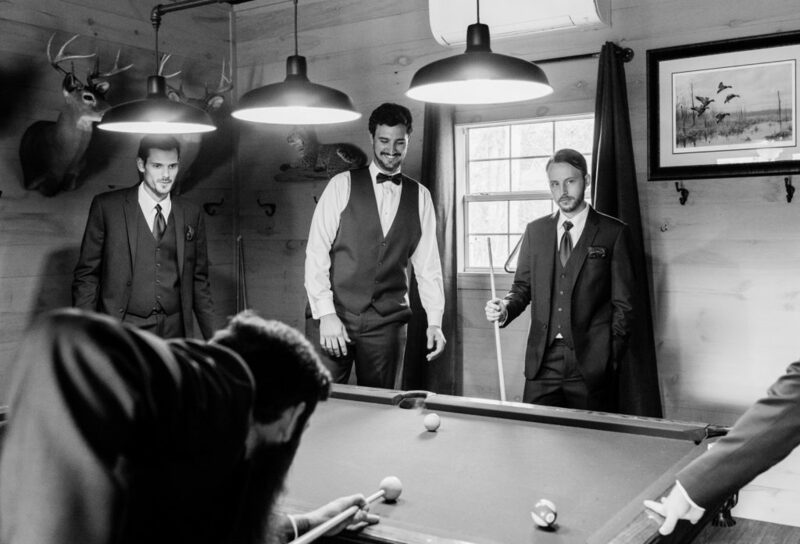 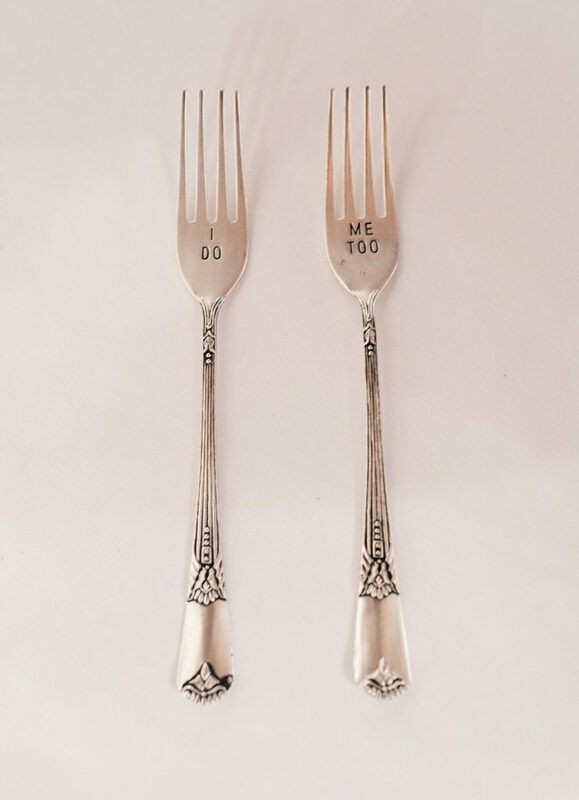 The guys wore navy suits with wine accessories to match the bridesmaid gowns. 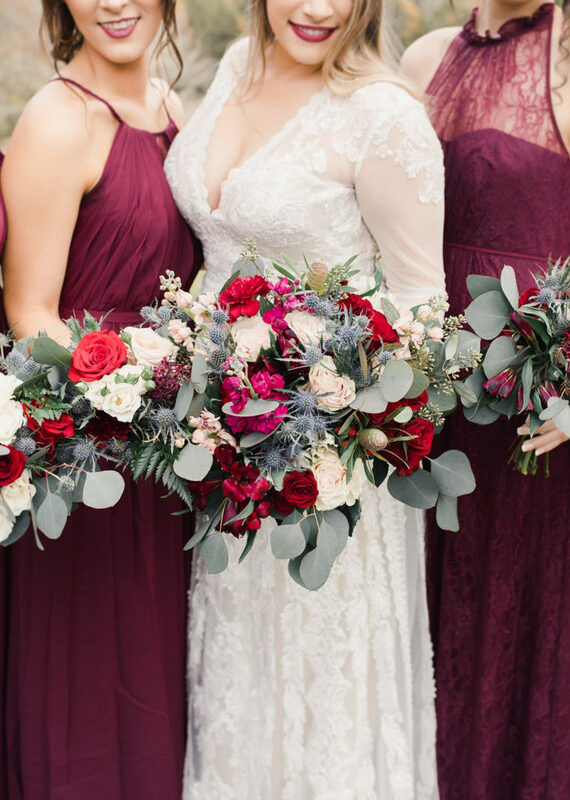 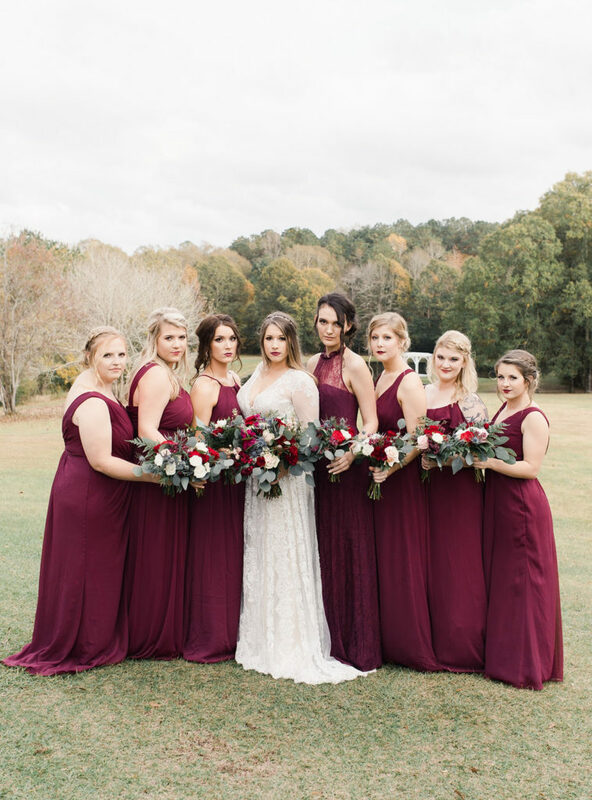 The florals provided more vibrant color with bouquets featuring wine and red flowers among bunches of eucalyptus. 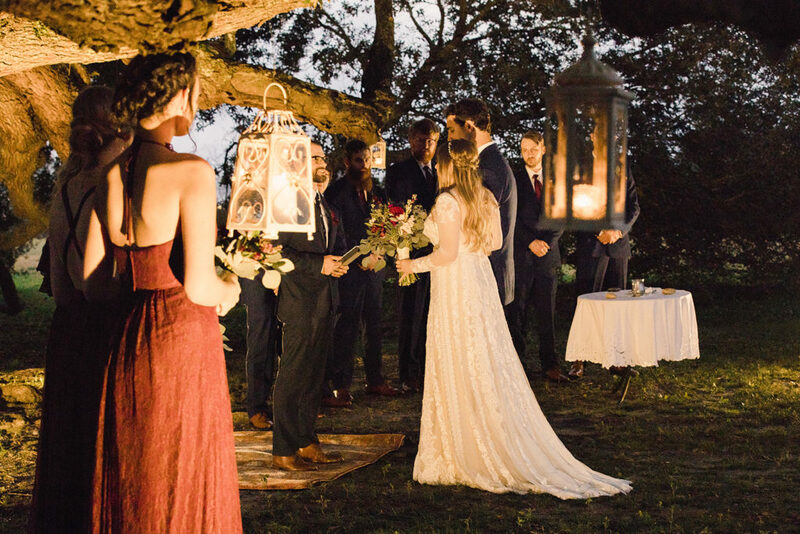 We loved the free standing doorway the bride entered through and the simple bench seating, but the ceremony space lit by lanterns hanging from the trees was simply spectacular.